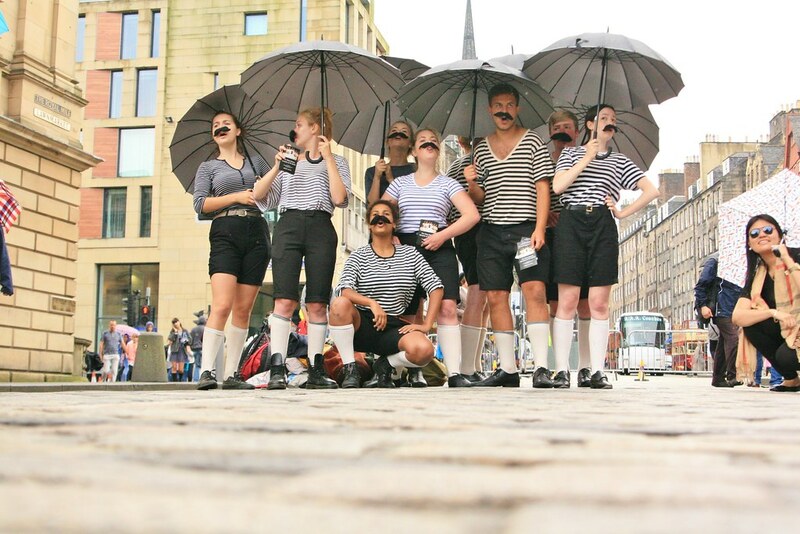 One of the things on my list of things to do before I'm 30 was to go to the Edinburgh Fringe Festival. I've heard nothing but praise for this month-long extravaganza and so I decided that Edinburgh would be my destination of choice this summer, and I spent last week there. I expected a reasonably relaxing week with a chance to catch a couple of shows and explore a new city. Goodness was I wrong in the most wonderful way! 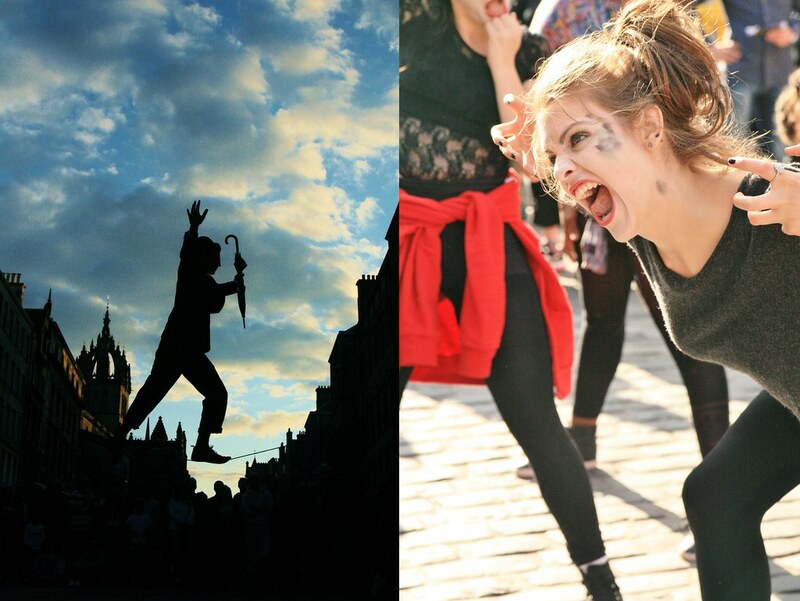 It was the most jam-packed week in a city that was truly alive with enthusiasm and culture and energy. Relaxed pottering turned into a joyful, frenzied hurtle through everything the Fringe had to offer. It was my first time at the festival, but it will definitely not be my last! A week was not enough really. I think I could happily spend the whole month here and still not see everything I wanted to. It took me a couple of days to work out how to get the most out of the festival; when I come in the future (it's not if, it's when) I will know the ropes! 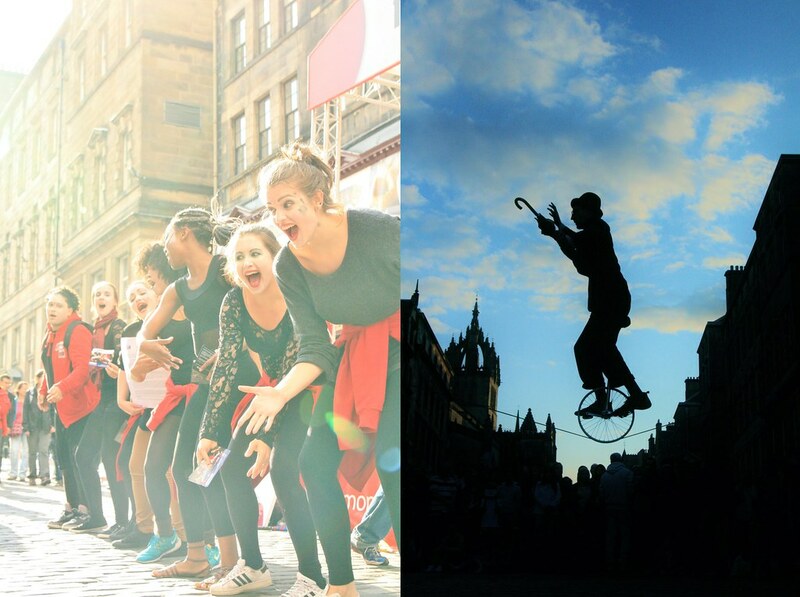 There are thousands of shows ranging from theatre, musicals and improv to dance, circus and stand-up. And everything in between. If you can imagine it, someone is probably performing it at the Fringe. Venues are spread across the city, but everything I saw was within walking distance. I have pounded the streets of Edinburgh and found that to be a great way to learn my way around and see things I would otherwise miss. By the end of the week I had a routine down, and I thought I'd share a few thoughts on how I approached this wonderful festival. And a few photos too! I think the key is to be organised. I saw surprising numbers of Fringe veterans who had their schedules printed out on a spreadsheet, and one who even had it printed onto a T-Shirt. While I wouldn't go this far, I do think you need to keep on top of things. I found the free Fringe app to be a lifesaver. It has listings for all the shows with timings and locations. You could book tickets through the app in about 18 seconds (very dangerous when it's that easy) and everything you get tickets for is automatically added to your in-app calendar. So I could look at my little schedule for the day, see what I had booked, when, and where and then use the little sat nav map to find out where I was how to get to the right venue. Actually that map was a life-saver. I could leave my travel guide, notebook, program etc. in my room and just head out without worrying about where to go. 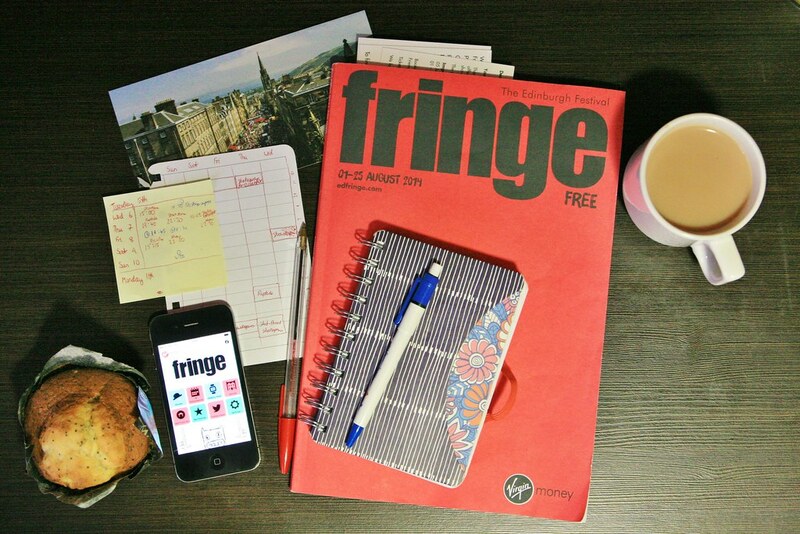 So good work Fringe people: excellent app! I had booked a few shows before I set out for Edinburgh, but I was glad that I had space to book things while I was there. Once again, it took me a little while to cotton on, but there are so many ways to find out about interesting and exciting shows while in the city that I think I would have missed out if I hadn't had gaps in my schedule to fill. 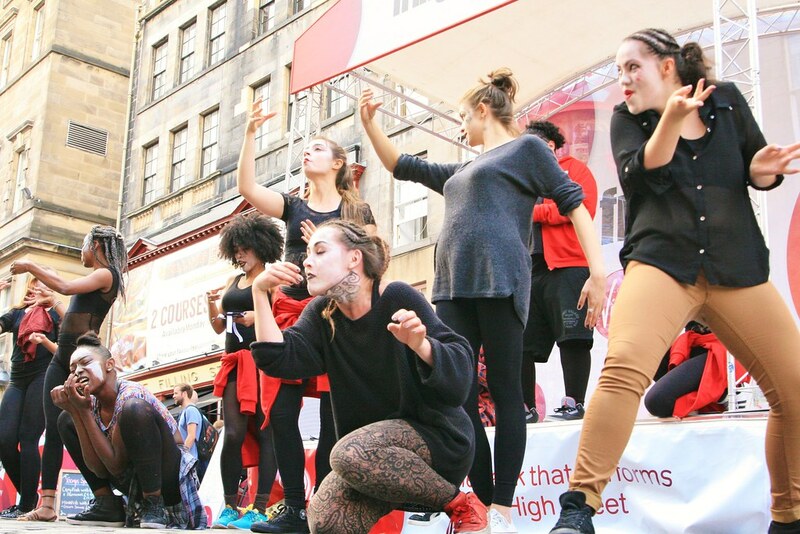 First of all, there are temporary stages set out all around the city, and a vast array of free street entertainment. A lot of this is to advertise shows and there are hundreds of performers on hand ready to hand you a flyer and attempt to convince you that you haven't lived until you've seen their show. I get the impression that some people find this irritating but I found it good-natured and informative. There were a number of things I went to see just because somebody on the street passed me a flyer, or because I saw a taster as I meandered past. It also gives the festival a very personal feel as you can see the very performer who handed you a flyer do their thing on stage. There's a connection that just isn't there usually at the theatre. 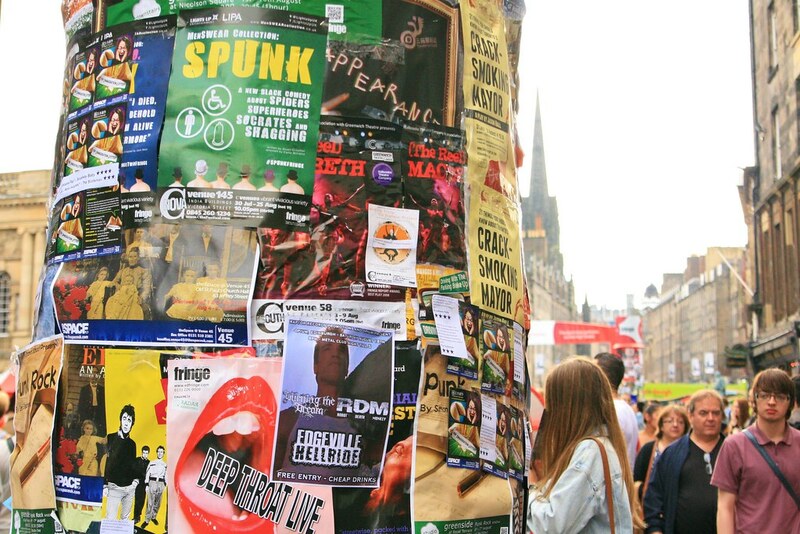 Plus every available surface is plastered with posters, and so the hard part becomes choosing what to see, rather than finding things. I mentioned that I found the festival good-natured, and it was. 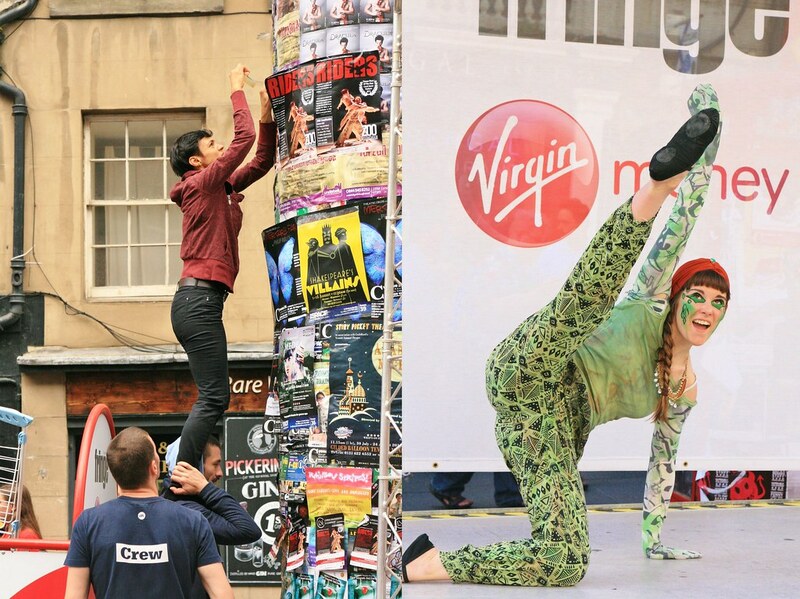 The performers were clearly relishing being at the fringe and connecting with audiences, and so many groups just bubbled over with enthusiasm and energy. It was completely inspiring and I found myself wishing I was taking part too. The atmosphere was alive and infectious and impossible to resist. Even rain didn't seem to dampen the mood. And in fairness, it rained a lot. Most of the days I was there had some rain, and some seemed to be entirely rain. There was one point where the sun came out, and I got confused and put my umbrella down only to realise that it was actually still raining. But when everyone is soggy and dripping everywhere, you can't help but feel a certain kinship with your fellow festival-goers. And we carried on regardless. If there's one thing I would change about my experience, it would be that I wish I'd had the confidence to talk to more people. Word-of-mouth is a great way to find out about shows as it's simply not possible to trawl through all the reviews and listings. The people I did speak to were friendly and keen to swap recommendations, but as I was on my own, and most people seemed to be in groups, I felt a bit shy. Will work on this in future. P.S. That's another 12 photos for #500snapsofsummer, meaning I have taken 230 and have 270 left to go. 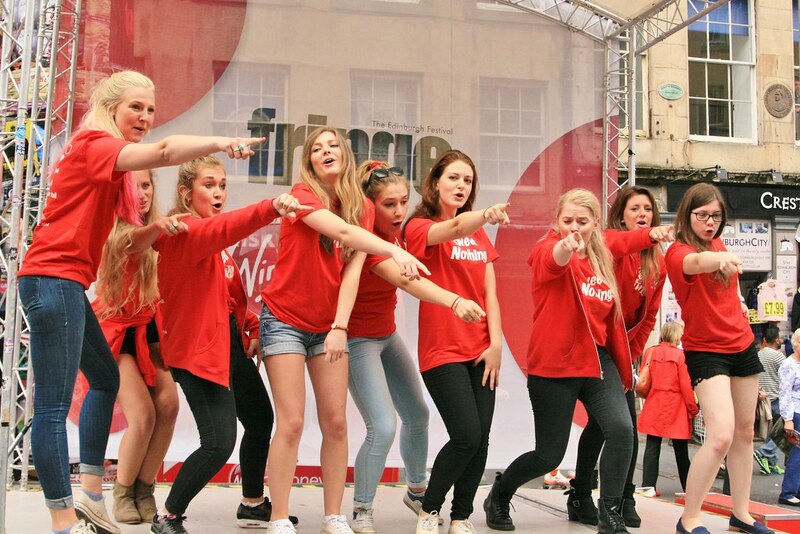 I really loved snapping pictures at the fringe!